The story of Szczecin's stadium dates back to WWI, when a defunct gravel plant was converted into a football field. In early 1920s construction of a proper stadium on the site began, resulting in the ground being opened in 1925. 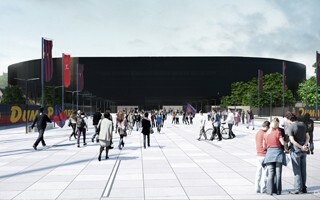 Initially the stadium bore the name of Hugo Rühl, known popularizer of physical activity. Its landfill stands were able to hold 15,000 people in a track-and-field layout. 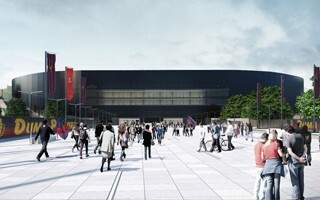 Aside from the main stadium, a building with changing rooms, tennis courts and a playground were created. First team using the stadium was the Stettiner Turnverein. Up until WWII the stadium hosted German football games. The war, as was common for stadiums, saw the military come in. Anti-aircraft arms were brought in and the stadium was partly demolished, only to see partial reconstruction in 1949, already as part of post-war Poland. In 1955 it was transferred to KS Pogoń, now known as Pogoń Szczecin. That same year the very first floodlight masts were created, boasting 700 lux. Led by Florian Krygier, Pogoń managed to reach top tier of Polish football by 1958 and the very first home game in first division (against Gwardia Warszawa) drew supposedly up to 30,000 people. 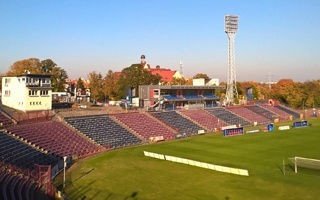 In the following years the stadium not only hosted games of Pogoń but also was the site of Poland's internationals. In 1963 the Polish national team established a record for home win, defeating Norway 9:0, a result only beaten 46 years later during a game against San Marino. It was also a major athletics stadium in those days, hosting the Polish Championship in 1965. In 1989, upon the fall of previous regime, it was transferred to the municipal subsidiary for sport, MOSRiR, allowing gradual renovation with tapxayer funding. 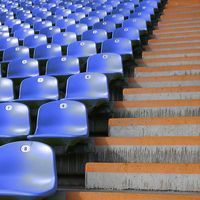 In 1995 it was the very first stadium in Poland to become an all-seater with a significant number of 18,000 seats, a size not changed for over two decades later on. 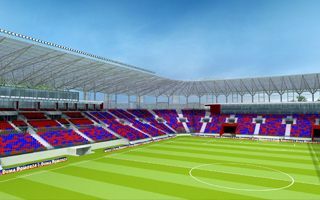 Even more, until 2007 the stadium was Poland's largest top tier venue. In 2001 a new floodlighting system was fitted, making the stadium Poland's first to reach 2,300 lux. 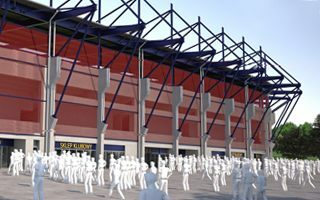 In 2002 construction of a roof above the south stand began. This was supposed to become first phase of complete coverage, however the plan never was implemented beyond just two sections. 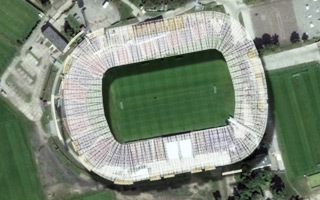 In 2004 the stadium received Florian Krygier's name and the following year another record was beaten here, Maciej Żurawski scored the fastest goal for Poland's national team (32 seconds into the game). That record stood until 2009. Finally, in 2005 under-soil heating system was mounted, ending works until 2009. 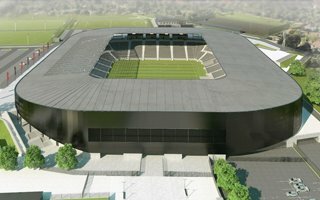 The 2009-2010 changes saw redevelopment of the changing rooms and entry tunnel, while a VIP and press pavilion was added on top of the north side. 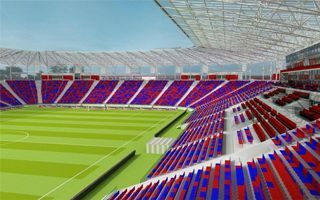 All seats were then replaced with new ones in 2013. 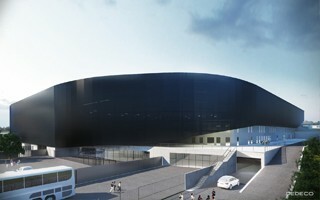 The building still sits in the very same basin it was created in, with the west end curved in naturally-sloped land, while north and south sides are also based on landfill. The east end remains open, which should change upon complete reconstruction planned for early 2020s. 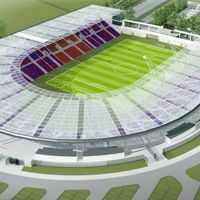 The complex also includes training fields for youth players of Pogoń and there's a secondary stadium with 1,082 capacity, for the women's section. Up to 700 cars can be parked around the ground. 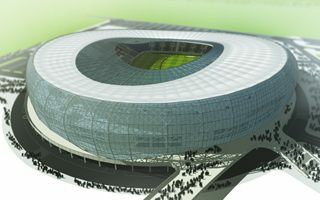 Due to its unique and irregular shape, the stadium is among Poland's most distinctive football venues, with quite a history itself. It's commonly referred to as Papricana, a mix between legendary Maracana and Szczecin's legendary food, paprykarz szczeciński (the Szczecin paprikash, a fish spread). Some use the name pejoratively, some as form of endearment. After nearly two decades of waiting things are going with lightning speed! Friday – construction deal. Sunday – final game at the old stadium. Monday – demolition begins. What, in Szczecin??? 18.02.2019 Poland: Time to say goodbye, Papricana! 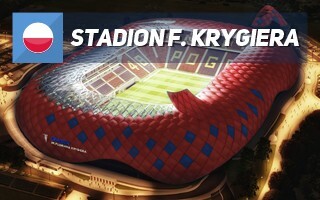 On March 10 one of the most legendary Polish stadia will see its final game. 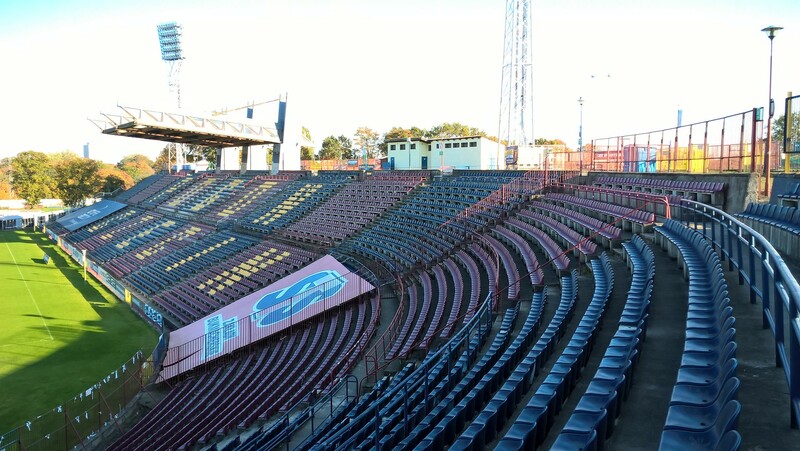 Afterwards demolition of two sides will commence, leaving tenants Pogoń with only one grandstand for 1.5 years. 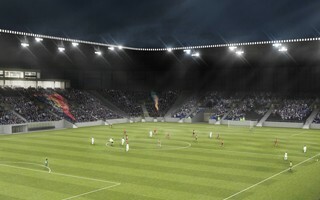 Stettin authorities announced the preferred concept for the redevelopment of existing Stadion Floriana Krygiera. With very limited budget, a modest vision was selected, leaving more elaborate ideas behind.